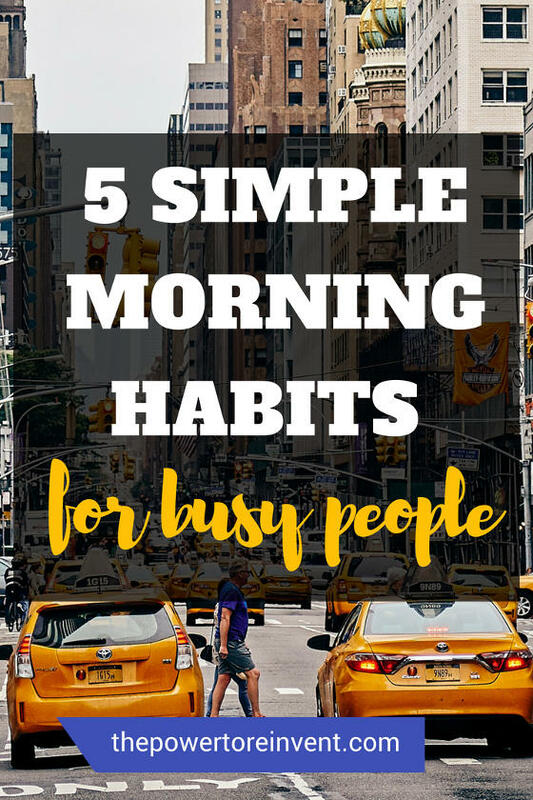 Morning habits are an incredible way to start off our day. They give us that instant sense of victory; setting up a platform for a killer day. A ‘small win’ early on creates a momentum that fuels our motivation and moves us closer to our goals. The idea of a morning routine sounds great. So what’s the problem? The hectic nature of our busy daily lives often leaves us feeling time poor. As a result, self-care is forced to take a back seat to work, doing laundry, cleaning the house, cooking meals and the bazillion other things on ‘the list’. 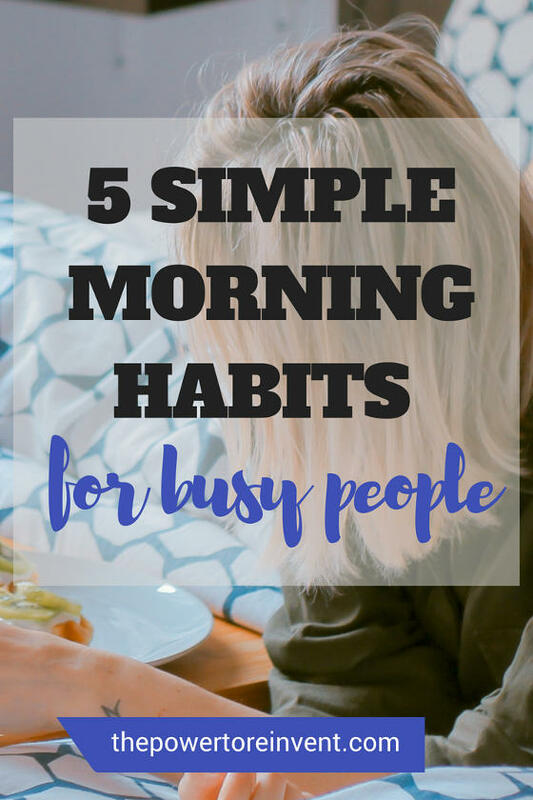 If you’d love to learn some simple morning habits for busy people — with mind-blowing benefits — then we got you. Don’t panic, these energising morning habits for busy people don’t involve getting up 2 hours earlier. It consists of 5 simple daily habits that won’t take up a lot of your time. Coconut oil pulling is amazing. Its benefits include treating acne, whitening teeth, boosting the immune system and killing bad breath. The thought of swirling oil around in your mouth may not be very appealing. But, I assure you, it’s way better than it sounds. What’s more, your skin, teeth, breath and immune system will love you for this simple, easy to practice morning habit. To practice this morning habit, take one tablespoon of coconut oil and swirl it around your mouth for 10 mins. That may sound like a lot but the great thing about it is that you can swirl away while doing other things. It’s not difficult getting your hands on coconut oil these days. Most major supermarkets and health food stores will stock it. If you want you can even order coconut oil from Amazon . You can coconut pull while getting dressed, having a shower, or when waiting for your morning coffee to brew. So, this ritual is a great morning habit for busy people. Curious to know more? Read more on the benefits and history of oil pulling check out this article from Dr Axe. This is definitely one of my favourite simple morning habits for busy people. Take one tablespoon of apple cider vinegar and swallow. Ok, it doesn’t taste great but the proven health benefits of this simple morning habit are incredible. In fact, apple cider vinegar kills bacteria, fights diabetes and helps you lose weight (in particular belly fat). You can purchase Apple Cider Vinegar from the supermarket or order the popular Bragg raw organic apple cider vinegar from Amazon . Here at The Power to Reinvent we are passionate about helping people to achieve their goals in less time. writing down your goal daily is a perfect way to achieve that. Indeed, writing down your goals increases your chances of achieving them by 42%. There is no better time to write your goals down than first thing in the morning. I find it helps me prepare for the day and keeps me (and my subconscious) on track to reach my big goals. As soon as I wake up, the first thing I do in the morning is reach for my journal. You will find no bigger advocate for writing down goals than me. 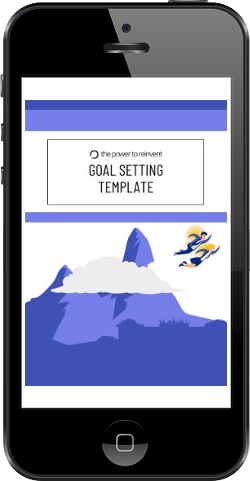 You can read more about the benefits of why you need to write down your goals here. Positive affirmations have proven positive psychological benefits. In particular, they’re known to help overcome limiting beliefs, boost mood and reprogram how we think. Ultimately, changing how we act; replacing negative thinking patterns with positive ones. Practised once daily and from as little as a few minutes at a time, daily affirmations are the perfect morning habit for busy people. Simply repeat in the mirror, say into yourself or write it down. You will notice their mood-boosting impact in no time. 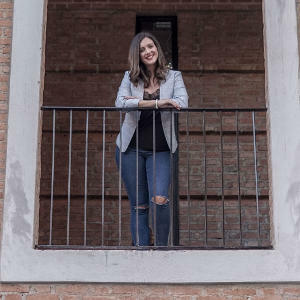 If you are seeking some inspiration on which affirmations to use, check out my list to help boost self-esteem here. I’m sure you heard it before, but breakfast truly is the most most important meal of the day. Breakfast gives essential fuel to our body. It helps promote healthy weight, improves memory and as a mood booster it can make us feel happier. If you ask me, breakfast is the most exciting meal of the day too. There’s so much variety to choose from — even when you are short of time. Eating breakfast has long-term health benefits. It can reduce obesity, high blood pressure, heart disease and diabetes. If you struggle to make time for breakfast in the morning, why not look up some recipes for overnight oats or quick smoothie recipe. Simple changes to your morning habit can have an incredible impact on your health, memory, mood and motivation levels. 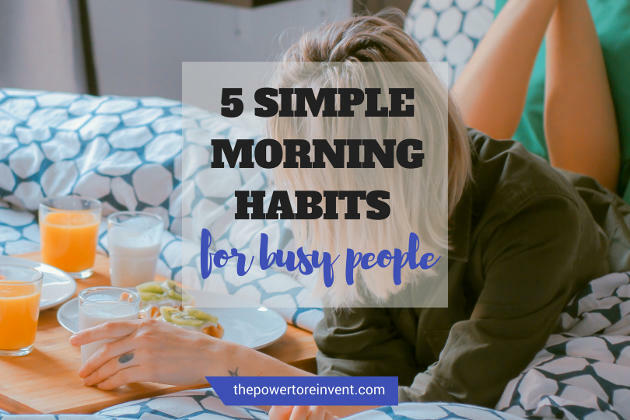 Surprisingly, morning habits don’t have to be time-consuming early morning workouts to have a positive impact. 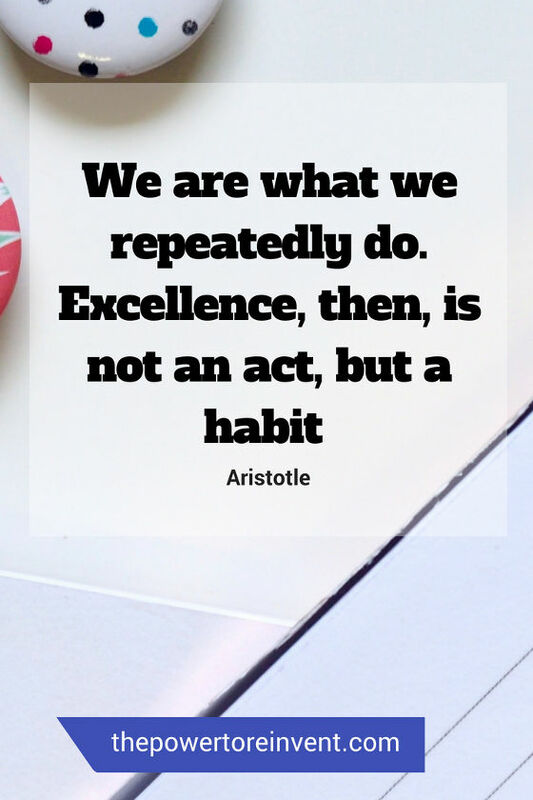 With simple daily repetition, they will soon become an effortless routine. What’s your morning routine? Do you have a favourite morning habit? Let us know in the comments below.